Any uk links for a ducktail closest to a genuine part in size and shape . iirc the one available through RPM is the one best thought of. The rpm one is more money but it is the whole boot lid and is available in different formats depending on what airbox eg single or twin intake. the D911 one is similar to others and it replaces your pop up spoiler and you retain your existing boot lid. Both have the high level 3rd brake light which uses your existing 3rd brake light so you will also need to factor in the 3rd brake light delete panel like the turbo, classic or gt3rs versions they are a couple of hundred quid.and get your pop up spoiler turned off with piwis. a full review of progress and pics please as you get into it. Quite happy or totally happy ? Did you prep it spray it and install yourself? 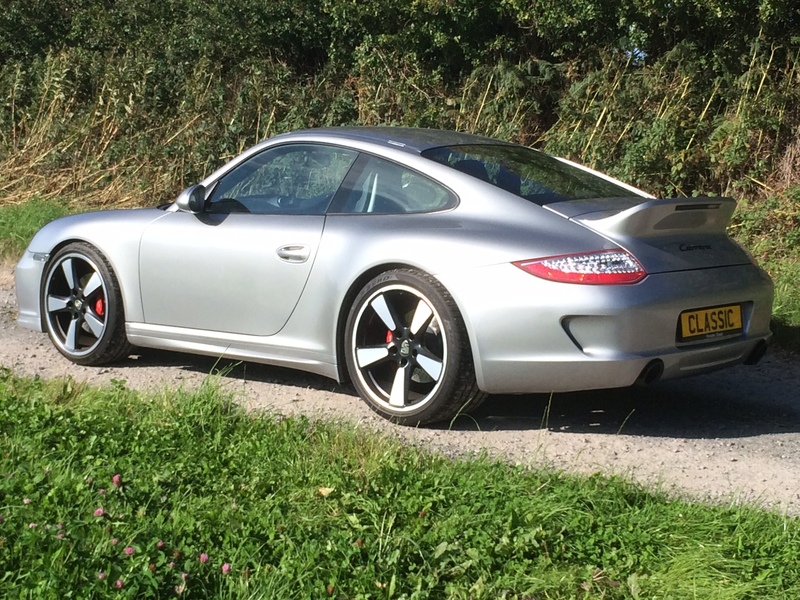 I have the carbon RPM one (although I'm in two minds about fitting it, so will decide in the Spring - another potential Porsche Warranty fly in the ointment). Having visited RPM prior to buying it, they said it was "modeled on the Sport Classic and is the closest to the original unit you'll find". It's incredibly light and build quality looks great - nice and rigid (I'm not sure you'd get the same rigidity from a GRP unit without it being quite weighty). Its a recent addition and I am totally happy. Supplied and fitted by Design 911. There has been no issues with it. 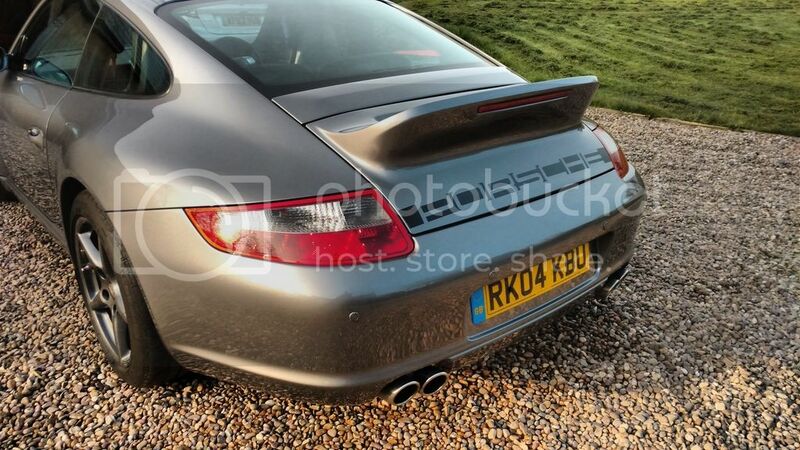 The design 911 one also replaces the whole boot lid (as can be seen above). It is also very light - it's fibreglass rather than carbon. When I bought mind the advice on here was that if it wasn't going to be painted then save some money and go fibreglass. That said, mine wasn't straightforward. I had it painted and all was well. The first time I closed the bootlid a hardline crack appeared across the back (where I paced my hand to close it). I had it repainted (and strengthened) and all was well - until a crack appeared just above the air vent - not sure what caused this. 3rd coat of paint and hasn't been ok since. Carbon would have been less hassle possibly and maybe no more cost once I paid for 2 extra lots of paint - not sure really?? Rob , I remember when you fitted that , I dint know the D911 one was the whole boot as well ,I thought it was just a pop up spoiler fitting like some of the others. I also hadnt realised it had been a pain with the cracking paint thats a shame. sounds like its all good now though. Was the issue the problem with the spoiler or the paint job. Theres also the flying ducktail option that was on a thread recently on here. I think the problem was that there was too much flex in the fibreglas but I don't really know. Has been ok for a while now so let's hope it stays that way! I wondered that about mine as it has front facing intake and straight into the feed for the airbox, I know the airboxes have drain holes in the bottom and I have never had an issue and drive it in all weathers so its clearly not an issue but I have often wondered why is not an issue. once i figure out how to shrink image sizes ill post some of mine but the rpm duck has drainage holes in the base layer. The two are then married together to create the lid suitable to X car. Even though the ducktails which replace the complete boot lid probably look better overall, I quite like the idea of replacing the existing lifting spoiler only using e.g. the ducktail from Moshammer in Germany. It looks sturdy (High Performance Composite) and uses existing OEM fixing points so installation looks simple and easily returned to original if required. Anyone tried this on their 997.2 ? That Moshammer one is maybe a bit Too Max Power? My vote goes for the RPM carbon version. 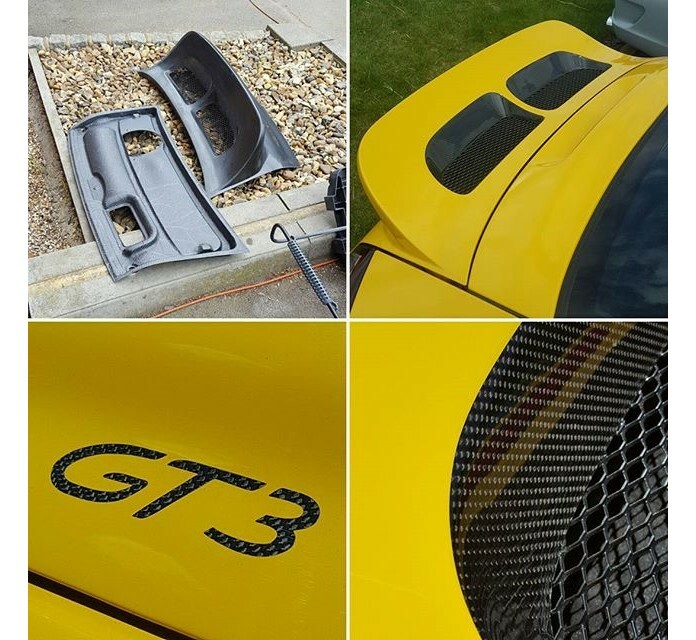 I had a chat with someone on the 996 Facebook group about them as he's fitted one to his car, he seems happy with it and the price seems reasonable. It annoys me that RPM charge extra for proper herringbone finish on theirs, that's just 2 minutes work making sure the material is in the right way when you make the flipping thing!